Mobile technology has started to help us humans in many different ways. From the outset, I wanted to use the platform to create a digital self-improvement tool...and that was how the concept of MAPT was formed. It’s a good thing that we found an able ally in Teksmobile - a company that is clearly very, very good at what it does. Self-development is tricky business. One might have a broad, general idea of improving him/herself - but have precious little idea about how to attain such objectives. 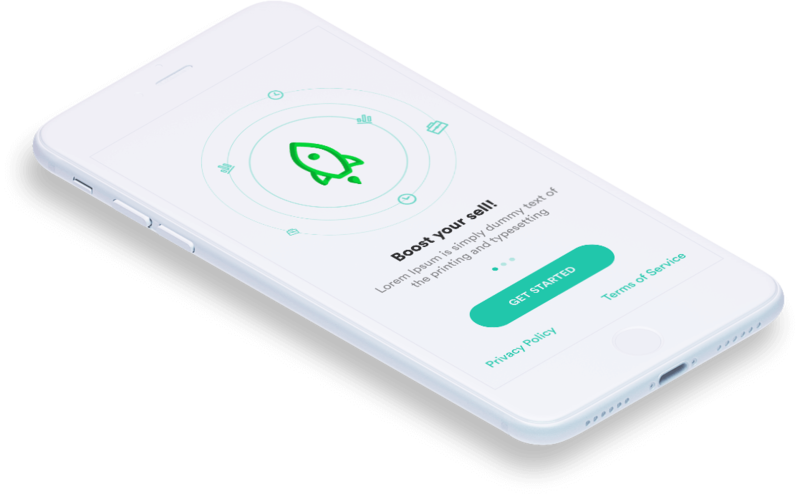 We had previously worked on a self-motivational app called HelloMind (a hugely successful app of ours) - and the team was more than keen to create a nice and innovative mobile application that helped users in their personal and professional development. The MAPT (Mood and Performance Tool) project gave us a chance to do just that. What Is The MAPT App All About? In essence, MAPT can be described as a digital tool to track the performance and mood of end-users. 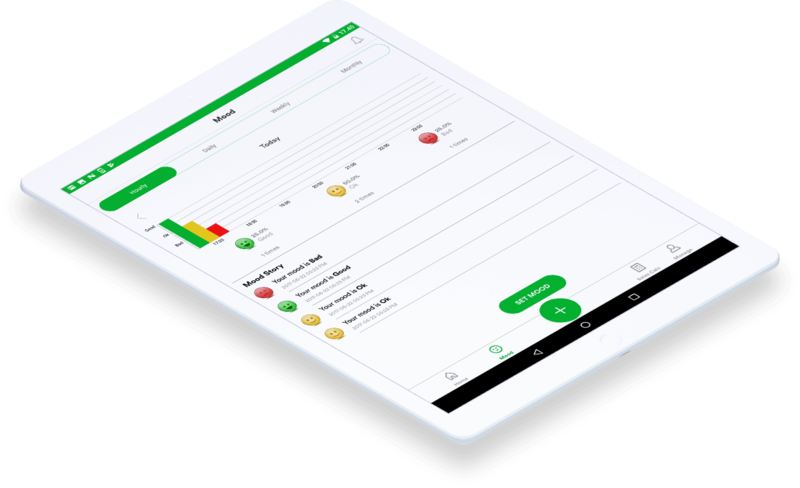 The app comes with a built-in sales calculator (from which it gets the nickname of ‘Sales App’) - for using personal stats to create customized self-development plans and goals. From boosting measurable business metrics (sales count in a quarter, for example), to improving the quality of family life - MAPT can offer all-round help to individuals. One thing that really struck me about MAPT was its ease of usability for practically everyone. 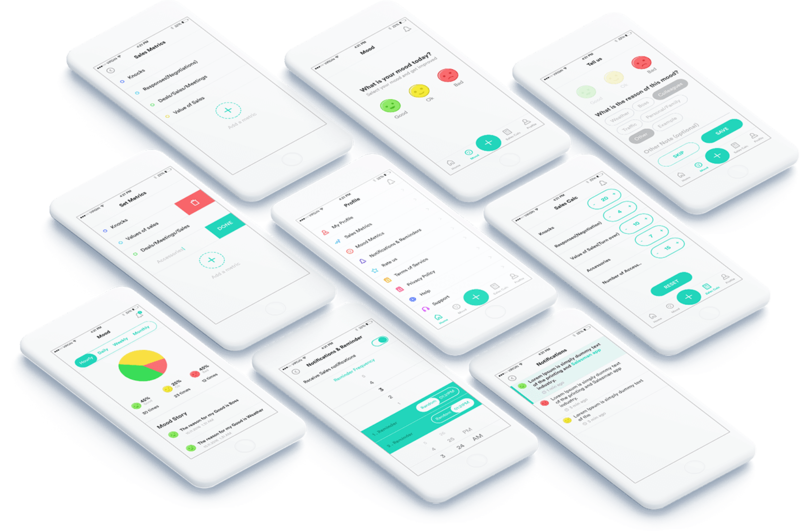 It can be used for identifying and following personal and professional goals - and as an entrepreneur myself, I was also impressed by the fact that the app can track and monitor employee moods and performances, bolster work-environments, and give overall productivity levels a lift. An ingenious app indeed! As is the customary policy at Teks, a free app quote was sent within 24 hours to the client (after they had first contacted us with the app idea). The development work started by the following week. Which Platform(s) Are MAPT Available On? 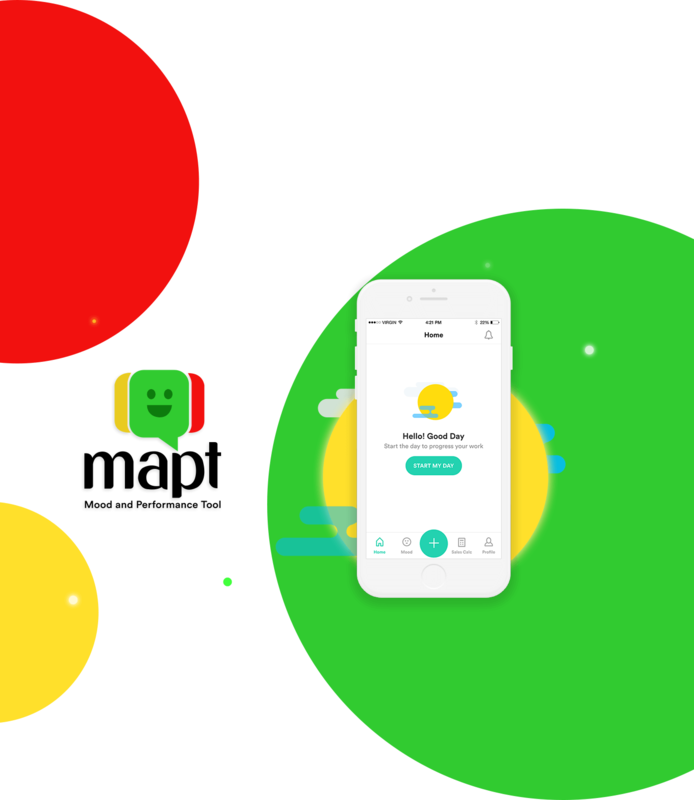 While making MAPT available on both the leading mobile platforms was a no-brainer, I was somewhat sceptical about having to contact two separate companies for the iOS and Android versions. Hussain and his team, with all their cross-platform expertise, put me at ease on this regard. The two versions of the app were built simultaneously...and thankfully, I hardly had to worry about a thing. Over the last decade or so, Team Teks has worked on more than its fair share of niche apps - available on a single platform. However, our first love still remains making applications that are usable by everyone - and that is precisely what MAPT is. Anyone who wants to improve his/her performance levels and moods should be able to download the app and give it a try. To maximize its reach, custom versions have been made for the iOS and Android platforms. 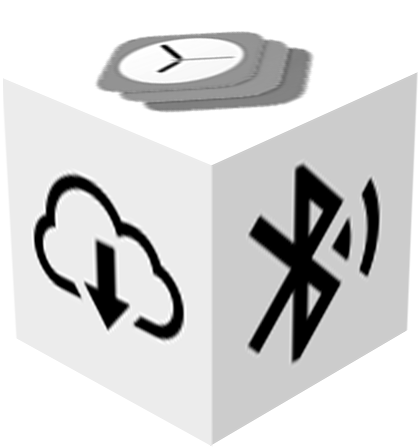 MAPT is available on all iPhones and iPads upgraded to iOS 8 or later versions. On the Android front, the application is compatible with smartphones and tablets running on version 4.1 (or later) of the platform. It is available in two languages - English and Swedish. For being of any use, MAPT had to be a ‘quick’ app. Apart from the short and snappy signup procedure, the overall tabs, layouts, on-screen content and in-app navigation have been chalked out with the user-convenience factor in mind. The five main tabs of the application - ‘Home’, Mood’, ‘Sales Calc’, ‘Manage’ and a ‘+’ button - are present in the bottom section of the screens. App retentions worldwide are pretty poor...and one of the key reasons behind the failure of new apps is lengthy registration procedures...long forms and all. MAPT keeps things simple regarding this. First-time users can simply signup with their Facebook credentials, or use the email/unique password combination to get onboard. 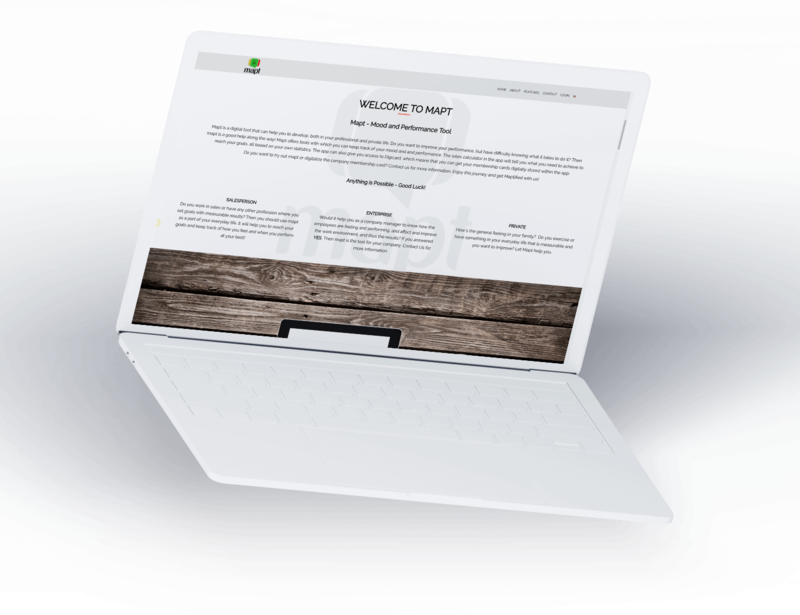 For salespersons - who, by the way, should find MAPT a very handy little tool - it’s all about getting into conversations with people, move the conversations into negotiations, and finally completing the sales deals. Hence, I felt that 4 key sales metrics need to be tracked through MAPT - Contacts, Negotiations, Sales and Sales Value. The last would, of course, be measured in Swedish Krona. Let’s take the case of a sales professional. (S)he wishes to improve his/her performance - and has set him/herself specific goals. Wouldn’t it be just great if there was a mobile self-development app that provided her insights on the parameters that need to be monitored? On MAPT, such essential information is ready at hand. A person’s mood can be ruined (or uplifted, for that matter) by a wide range of factors - right from pesky family problems, to a grumpy boss at workplace, or even a persistently gloomy weather. MAPT takes such natural human tendencies into account - and has as many as 6 ‘mood metrics’ in-built within the application - Weather, Boss, Colleagues, Traffic, Personal/Family, and Others. At any time, the mood can be marked as ‘Good’, ‘OK’ and ‘Bad’. In today’s mobile app scenario, greater customization is the name of the game. MAPT scores on that regard. People can easily edit and modify the names of the preset sales and mood metrics. Also - more parameters can be added by tapping the ‘+’ tab. After all, there can be many more metrics that a person might want to monitor. MAPT is all about giving more power to users, in their bid to develop themselves in their private and personal life. A person can opt to view his/her ‘Scores’ (based on the set parameters) on a monthly, weekly, daily, or even hourly basis. The performance curve, both me and Hussain believe, gives users a fair idea of how they are doing in their quest for self-improvement. Okay then - now that we have got some idea about the type of metrics that can be tracked with MAPT - let us quickly see how the performance/mood tracking is actually done. Once a user taps on ‘Start My Day’, the entered values corresponding to the preset parameters are displayed - in figures and graphically. Percentage figures are also displayed (i.e., the percentage of contacts that have progressed to negotiations). People have busy lives, and it is very much possible to forget entering the sales or mood metric value (based on which the Score and performance curve are generated). The cool notifications system of MAPT offers an easy way to avoid such issues. Either at random times, or at a user-specified time, the app can send notifications to users - serving as reminders to put in the values. While working on the MAPT app, we had to factor in the consideration that human beings are not machines - and as such, they cannot want to track performance levels round-the-clock. After a couple of rounds of discussion with the client, the ‘Take A Break’ tab was placed in the Scores screen. Users have the option of tapping it and choosing the duration of the break. All of us have days when nothing quite feels right. An unpleasant mood can, and often does, seriously hamper our performance levels. Credit to the concept developers of MAPT for taking this into account, and enabling mood tracking in the application. At multiple times during the day, users are asked about their mood (Good, OK or Bad) by this all-new mobile self-improvement app. Based on the responses, the ‘mood graphs’ are created - along with the number of times each of the 3 mood options are selected. The reason for the prevailing mood at any time (as selected by the user from the mood parameters) is displayed as well. It can be seen from the scores that performance levels have a positive correlation with good moods. The biggest USP of the MAPT application is the fact that it is not just another personal mood or work tracker. It also automatically shows people the actual path to obtain their goals - personal or professional. This is where the sales calculator of the app comes into focus. Enter your goal(s), and the calculator will tell you how to attain it. On the sales calculator, all that a person has to do is enter his or her sales goals...and the calculator will show the required values of the other parameters for that. For example, a user can set the the number of target ‘negotiations’ - and the app will show the number of ‘contacts’ needed for the purpose. There is a reset button as well. There is also a ‘Finish’ tab on the scores page. It is to be tapped by a user when (s)he is done for the day. As a working professional, a person often has to carry multiple ID cards. There is always the chance of misplacing a card...leading up to serious hassles. With its seamless digital card storage option, MAPT offers a smart way out from such concerns. For all the identification purposes, the mobile phone...with MAPT installed in it...is all that a person needs to carry. The Digicard benefits of MAPT are not limited to simply storing the details of plastic cards (employee ID cards, membership cards of associations/memberships, etc.). It also ensures that users get the membership benefits (as and when available), without any problems whatsoever. The QR code on the card screen has to be scanned, to ‘read’ individual details. MAPT is currently available for free download atiOs app (iOS version) and Android version . It’s a self-development app with many merits and a unique sales calculator to serve as a guide...if someone has the will to take him/herself to the next level professionally or personally, this app is just the right tool.